One of the most common distress calls I receive is from cat parents upset about their cat’s destructive claws. While we humans may feel like our cats must secretly hate us (why else would they ruin our brand-new designer sofa?! ), they’re really just following their natural instincts when they do a little redecorating with their claws. You can redirect your cat’s scratching behaviors . Photography ©Ztranger | Getty Images. Scratching is a necessary part of every cat’s life. 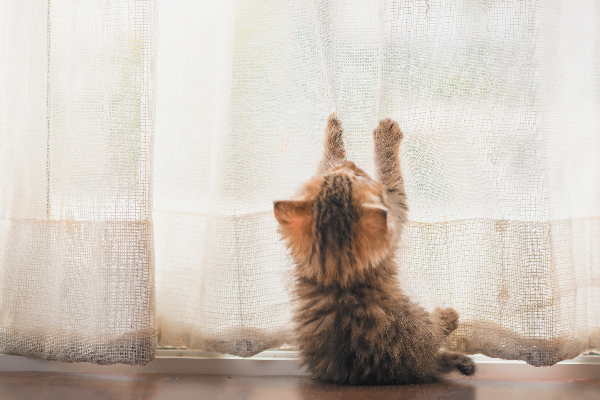 Using those claws helps your cat strengthen the muscles in his paws and, at the same time, it hastens the shedding of the outer layers of the nails to keep them clean and new. It’s the feline version of going to the nail salon. Cats also scratch to claim territory. Using the scent glands in his paws, your cat leaves his mark on the places he likes best to let other felines know to stay away. It’s part of his natural hunting instincts, done to keep his claws at the ready for the next big pursuit. Simply put, cats must scratch to maintain good paw and nail health. In nature, this would be necessary so they can hunt for their dinner. Plus, it just feels good. You’ll never be able to stop your cat from scratching, but you can redirect those urges to more acceptable places. Let your cat know that certain places in your home are off-limits to his paws of destruction. 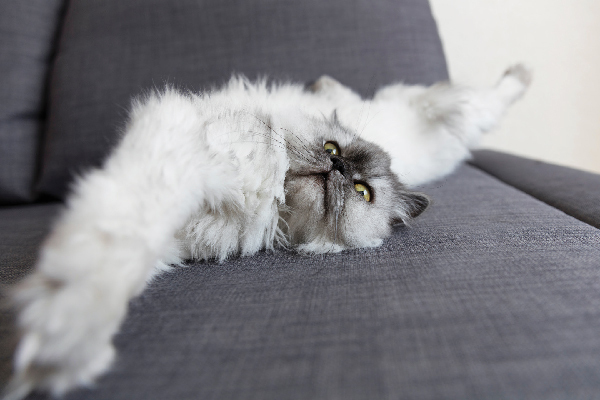 Protect sofas and chairs by making them unpleasant for your cat to touch. Cover sofas and chairs temporarily with plastic to make it impossible for claws to take hold. Use double-sided sticky tape on furniture, as cats don’t like the sticky feel. You can also spray furniture and carpets with an orange-scented spray, as most cats don’t like the smell of citrus. If you do find your cat clawing the no-no places, clap your hands or throw a soft toy for him to chase so he’s distracted. Because your cat must scratch somewhere, have appropriate scratching alternatives available to guide him to those “good” scratching places and away from the no-no spots. Trimming your cat’s nails regularly renders them relatively harmless. You can take your cat to a groomer or learn to do it yourself at home. If you’ve never trimmed a cat’s nails before, ask your veterinarian to show you exactly where to cut. You can also put nail caps over your cat’s front claws to make them harmless to the objects in your home. You can put them on your cat at home or have your veterinarian or groomer do it for you. Nail caps last about six weeks and come in many fun colors, too. 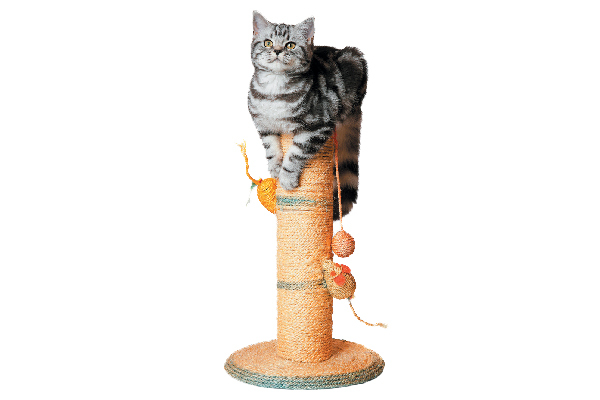 A gray tabby cat sitting up on a scratching post. Photography ©Viorika | Getty Images. 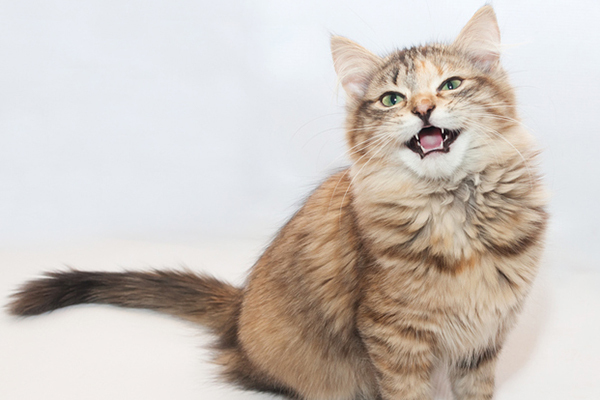 Offer appealing scratching items to redirect your cat’s need to scratch. 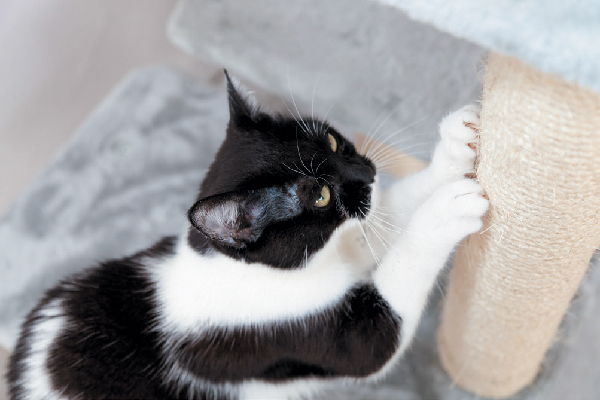 There are many types of scratching posts and pads available, and observing how your cat uses his claws will help you choose the right style. If your cat is a rug scratcher, a flat horizontal scratching pad or box works best. Cats who like to claw on sofas tend to prefer a vertical scratching post. Put scratching pads around your home where your cat likes to hang out. A place central to the household’s action is ideal, especially if it’s a place where you tend to be. If you tuck scratching pads away from everyone, your cat won’t go out of his way to find and use them. Put catnip on the scratcher, and lead your cat toward it with toys and treats. When he chooses the scratching post over your sofa, give him praise and a yummy treat to make it a memorable positive experience. 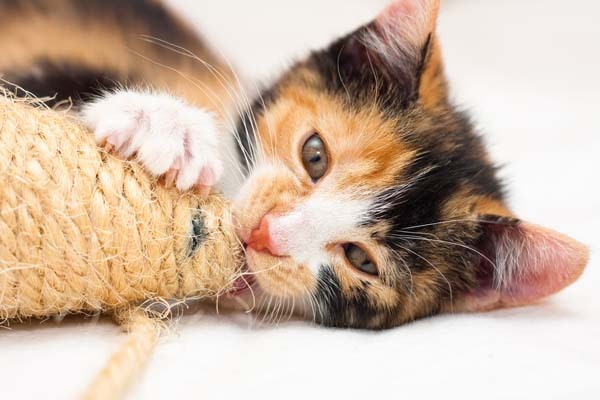 Give your cat lots of love and playtime. 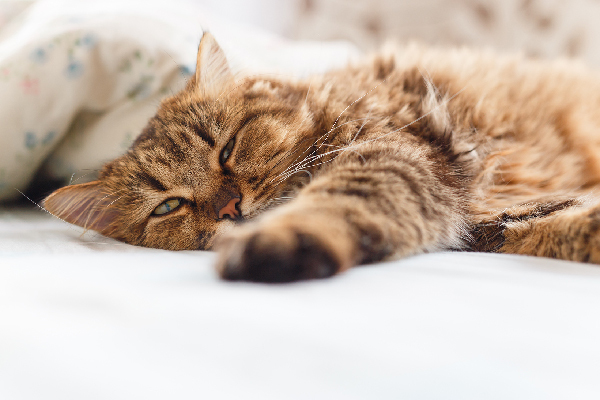 Boredom can cause your cat to create his own excitement by attacking your furniture, enabling him to release his pent-up energy at the expense of your décor. Play with your cat daily to tire him out, so he won’t redecorate your house with his claws. About the author: Rita Reimers’ cat behavior counseling sessions have helped many kitties remain happy in their forever homes. Visit her website, the Cat Analyst, to learn more about her services and to read her cat behavior blog. Rita is also owner/ CEO of Just For Cats Pet Sitting. Connect with Rita on Facebook and Twitter. Hi! I got my cat from the local shelter when she was 13 months old. She is beautiful and affectionate but she is in the process of destroying my home. I have tried all of your suggestions and more. I am beside myself – she doesn’t stop getting into everything! The vet has given me some topical Prozac because he saw her behavior but she won’t let me near her when I attempt to apply it. Help , please, because I will have to find her a new home.